The FEC meeting was attended by members of the council including the new Secretary to the Government of the Federation (SGF), Boss Mustapha, Head of Service of the Federation, Winifred Oyo-Ita and some cabinet ministers. 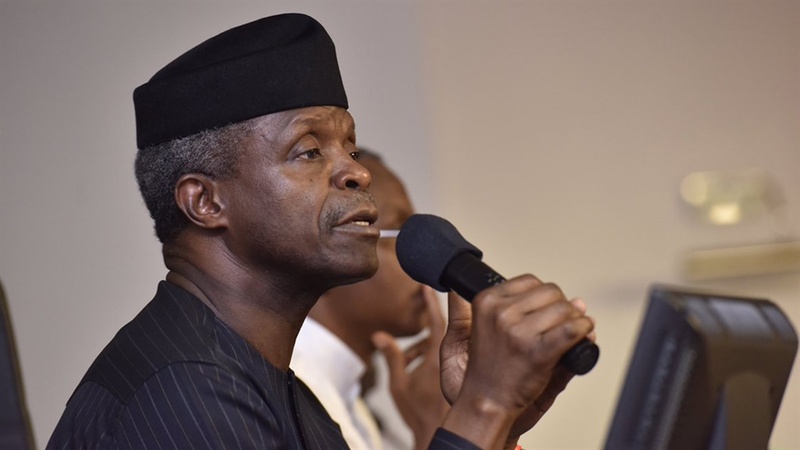 On Wednesday, President Muhammadu Buhari continued his tour of the South-East, and back in Abuja, Yemi Osinbajo presided over a meeting of the Federal Executive Council (FEC). Others who attended the meeting include the National Security Adviser (NSA), retired Maj-Gen. Babagana Monguno and some presidential aides. This is not the first time Osinbajo will be presiding over a FEC meeting. In September, Osinbajo chaired the meeting when Buhari attended the United Nations General Assembly gathering in New York. Osinbajo also presided over the first FEC meeting of 2017 as Acting President when Buhari visited the United Kingdom for medical reasons in January. The president visited Ebonyi State on Tuesday and was in Anambra on Wednesday.